Santa Ana, CA – Chronic Tacos Enterprises (“CTE”) is a franchisor of Mexican food restaurants under its Chronic® and Chronic Tacos® trademarks. Defendants are alleged to be former temporary licensees at the Huntington Beach location, which license was terminated when CTE’s founders ceased being shareholders in the Huntington Beach location. CTE alleges that Defendants have failed to execute a franchise agreement to operate the location, thus necessitating the lawsuit. The case is Chronic Tacos Enterprises, Inc. v. Chronic Tacos Huntington Beach, Inc. et al., SACV10-01414 DOC (C.D. Cal. 2010). 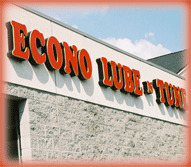 Santa Ana, CA – Trademark attorneys for Econo Lube N’ Tune franchisor sued a Ventura, CA based franchisee for trademark infringement and breach of franchise agreement at the Federal District Court (Santa Ana Division). The USPTO registered trademark, Econo Lube ‘N Tune, is used by franchisees to provide automotive tune-up and brake services, lubrication, oil changes, and certain related minor automotive services. Because the trademark has been registered for over five years, since 1981 to be exact, the trademark is incontestable under the Lanham Act, 15 U.S.C. § 1115(b). Plaintiff alleges that on August 1, 2006, Robert Gerz entered into a sublease and franchise agreement for the Econo Lube location in Ventura. The franchise agreement provided a limited license to use the trademark while the franchisee was in good standing, but on the termination of the franchise, the right to use the trademark ceases immediately. Six months after entering into the agreement, Defendant allegedly defaulted on his obligations to make rental payments under the sublease and royalty payments under the franchise agreement. Plaintiff provided notice of the breach to defendant, and defendant allegedly failed to cure the breach by making the required payments, “instead, Gerz engaged in a pattern of delay for the purposes of allowing him to continue his unauthorized operation of the franchise and use of the trademark for as long as possible.” Plaintiff filed an action in the Superior Court of the State of California, Count of Ventura, seeking, among other things, a judgment of possession against Gerz. One week before trial, however, Gerz vacated the premises mooting the trial for possession. As a result, the instant lawsuit was filed asserting the following causes of action: (1) Trademark infringement, 15 U.S.C. § 1114; (2) Breach of sublease agreement; (3) Breach of franchise agreement; and, (4) Unfair competition under Cal. Bus. & Prof. Code § 17200. The case is titled Econo Lube N’ Tune, Inc. v. Robert Gerz, SACV08-00598 CJC (C.D. Cal. 2008). Los Angeles, CA – Trademark attorneys for “cookie diet” franchisees filed a trademark infringement, unfair competition (15 U.S.C. § 1125), breach of franchise agreement, and fraud lawsuit at the Federal District Court in Los Angeles. Plaintiffs are area franchisees and franchise representatives of the “Cookie Diet,” a medically supervised weight loss program. Defendants are the franchisors and licensors of the weight loss program, which in its California Uniform Franchise Offering Circular (“UFOC”) was described as a “medical-based physician monitored and supervised weight reduction and weight management program.” Plaintiffs are the franchise representatives throughout the State of California. Plaintiffs allege that the Franchisor Defendants represented that the heart of the weight loss system was a diet based upon proprietary cookies, shakes and soups developed by Dr. Sanford Siegal. “The key to the weight loss concept was that a patient/customer had to maintain a diet of approximately 800 calories per day, half in a single 400-calorie mean, and the other half by eating six dietary ‘cookies’ throughout the day.” Because of the drastically low daily caloric intake, “physician supervision was a core component of Dr. Siegal’s diet system.” In 2002, the Franchisor Defendants entered into an agreement to license Dr. Siegal’s name, trademarks, and trade names. 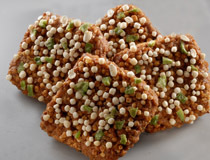 In return, Dr. Siegal was to be the exclusive supplier of cookies to the Franchisor Defendants. Dr. Siegal maintained rights to use the trademarks and system in Florida, but agreed to not compete with the Franchisor Defendants in the United States. The first cause of action is for trademark infringement of Sizzler’s USPTO registered trademarks because under the franchise/license agreement, the franchisee was granted a limited license to use the trademarks so long as the franchisee complied with the agreement: “The Defendant’s use of the [trademarks] post-termination constitutes service mark and trademark infringement within the meaning of 15 U.S.C. § 1114.” The second cause of action is for breach of the license/franchise agreement for Defendants’ alleged refusal to pay royalties and advertising fees and for refusing to cease use of the trademarks post termination. The third cause of action is for breach of written guaranty against the individual that is the shareholder of the corporation. The case is titled Sizzler USA Franchise, Inc., v. Advanced Home Care Medical Supply, Inc., CV08-01856 PSG (Central District of California). Los Angeles, CA – Trademark and franchise law attorneys filed a lawsuit on behalf of the Dairy Queen® franchisor against a Culver City franchisee for allegedly breaching the franchising agreement and for trademark infringement. Dairy Queen’s trademarks have been registered with the USPTO and since the 1940’s have been franchised or licensed for use on ice cream, dairy products, and other consumables. 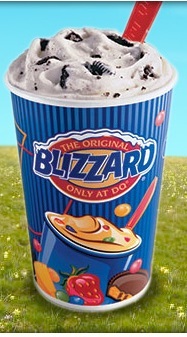 In this case, Defendant Lee had executed two franchising agreements and licensed the rights to use Dairy Queen’s numerous trademarks. The franchising agreements require the franchisee to maintain the store at a specific standard, follow operating procedures, pay a monthly license fee, pay a lease administration fee, and pay a sales promotion program fee. The complaint continues that the franchisee must also agree to allow Dairy Queen to audit the financial records to determine whether the proper amount of the licensing fee is being paid. If any of these franchising terms were not met and cured, it would constitute a default and the franchise rights would be terminated. After termination, the franchisee would agree to immediately cease the use and display of all of Dairy Queen’s trademarks. The terminated franchisee would also need to pay a termination fee to compensate Dairy Queen for the early termination of the franchising agreement. The complaint alleges that defendant Lee failed to comply with the upkeep standards set by Dairy Queen for its franchisee’s location and was given 60 days to correct the deficiencies, which went uncorrected. The complaint also alleges that, after an audit, it was determined that Lee underpaid Dairy Queen by $16,911.84, which Lee failed to pay after receiving notice. The complaint alleges the following causes of action: (1) Trademark infringement of USPTO registered trademarks; (2) False designation of origin under the Lanham Act 43(a) (15 U.S.C. 1125(a)); (3) Federal trademark dilution of famous trademarks under the Lanham Act 43(c) (15 U.S.C. 1125(c)); (4) Trademark counterfeiting; and (5) Breach of contract. The case is titled American Dairy Queen Corporation and DQF, Inc., v. Myung Taek Lee, CV08-01505 AHM (C.D. California).